With temperatures rising and annoying insects being out in full force, you may want to think about ways to protect your pet from being at risk of uncomfortable insect bites. A new product has hit the market just in time for summer and it is sure to keep mosquitoes, flies and other nuisance insects far away from your beloved pet. 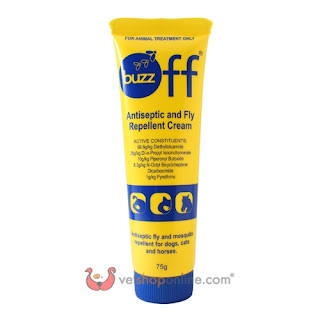 Buzz Off Antiseptic and Fly Repellent Cream combines three insect repellents, one insecticide and two synergists to provide a strong killing and repelling action to mosquitoes, flies and other nuisance insects, the insects won't stand a chance! The thick and non-greasy creamy also comes with a pleasant and mild scent as well as a stay-on formulation. The product is registered for safe use on dogs, cats and horses. 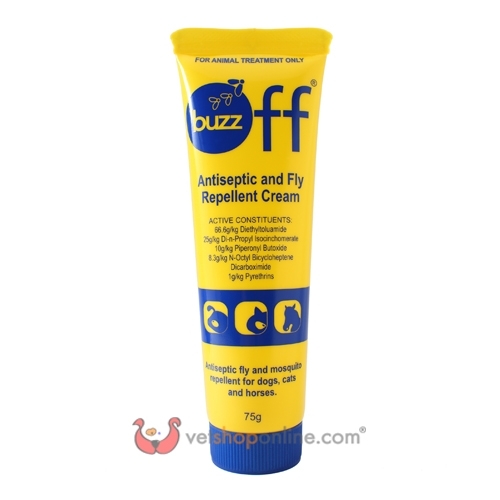 Purchase Your Buzz Off Antiseptic and Fly Repellent Cream Now!